How can China help Angola achieve economic goals? China and Angola established diplomatic relations in January 1983, and their strategic partnership has moved forward steadily since then. The Chinese government and enterprises actively participated in Angola's post-war reconstruction since the end of the civil war in 2002, mainly in the form of contracted construction. Smooth progress was made in bilateral cooperation in the form of "mutually preferential loans." According to China's Ministry of Commerce, about 100 new bilateral projects worth over $10 billion were signed in 2016, involving energy and electricity, ports and airports, highways and railways, municipal water supplies, hospitals and schools, social housing and industrial parks. These projects will promote the sustainable, shared development of Angola's economy, bringing tangible benefits to both countries. China also invests in Angola. According to the commerce ministry data, China's direct investment in Angola reached $164 million in 2016. Up to the end of 2016, China's outstanding non-financial direct investment in Angola had reached $1.63 billion. Angola is not a priority in China's foreign assistance. However, through technical cooperation and capacity building, China's development cooperation has played an important role in Angola's industrialization. In terms of technical cooperation, the China-aided agricultural technology demonstration center in Angola was officially launched on December 7, 2016. It was one of the eight initiatives raised at the 4th Ministerial Conference of the China-Africa Cooperation Forum. The project covers 54 hectares, including a plantation demonstration region, a cultivation demonstration region and agricultural equipment. There are several major challenges for increasing Chinese investment in Angola. Weak infrastructure is one such challenge. There are large power gaps in many parts of the country, including the capital of Luanda. Although Angola has more than 40 major rivers with great hydropower potential, very few have been developed. There is also no sustainable water supply for industrial developments, such as special economic parks. The investment environment is another challenge. Although foreign enterprises are allowed to borrow from local banks, they are charged more than local companies. There is also a profit repatriation problem because of strict currency controls. Also, the local currency is very unstable. In 2016, Angola's inflation rate was 42 percent, and volatility has been increasing. So holding the local currency means huge uncertainty. There are also concerns over the lack of market access to neighboring countries: Democratic Republic of Congo, Zambia and Namibia. For DR Congo, only exports are allowed, such as construction materials. For Namibia, there is only border trade between similar ethnic groups. For Zambia, there are no commercial links and not even one road link. Angola also has few skilled workers. Because of post-war economic reconstruction, Angola's labor demand is huge while the number of skilled workers is low. To conquer these challenges, China and Angola can take several steps. For one thing, they can strengthen capacity building and training at both the policy and technical levels. 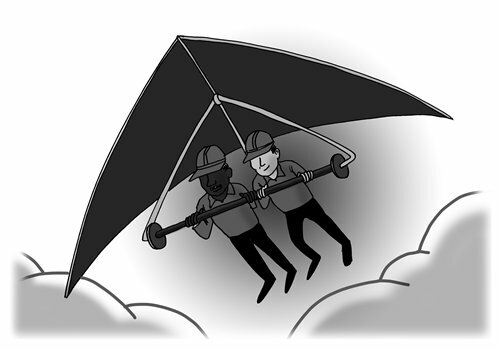 China should shift from sharing its experience to promoting policy implementation. China should let the Angolan officials know that China's economic miracle mainly came from efficient policy formulation and implementation. To achieve the goal of industrialization, the Angolan government should create a preferential business environment to attract foreign investment. This means better foreign investment policies and market access policies. At the technical level, more training and technology transfer in mining, agriculture, food processing and mechanics is necessary. Another strategy is to promote public-private partnership (PPP) projects. China should urge enterprises to use the PPP model to support Angolan infrastructure building. Chinese companies should seek cooperation with the Angolan government, and international and local financial institutions, to move from being pure contractors to co-financiers. The focus of cooperation should not be restricted to engineering and construction, and the operation and maintenance and personnel training should also be included. China should offer more support to small and medium-sized enterprises (SMEs) in Angola through the China-Africa Development Fund, special loans for African SMEs and the China-Africa Production Capacity Cooperation Fund. China should also encourage Chinese enterprises in Angola to engage with the Angola Industrial Association, Women Entrepreneurs Association and other non-governmental organizations to get timely access to industry developments, promote their corporate images and comply with local employment standards. China should also focus more on agriculture processing. There should be more investment in irrigation, power, roads and other infrastructure to improve the production environment and help create an integrated industrial chain. This effort should rely more on multi-financing channels that involve governments, policy banks and the private sector. China could also work to popularize its advanced agricultural technology, such as the Green Super Rice technique, and introduce its seed breeding, irrigation and cultivation techniques. Deep processing is an area that deserves more joint efforts and can help create more jobs. China should also cooperate with international organizations, such as the UN's Food and Agriculture Organization, and non-government organizations, such as the Bill & Melinda Gates Foundation, to help build specialized agro-industrial parks and localize the agro-industrial supply chain and agro-based value chain in Angola.